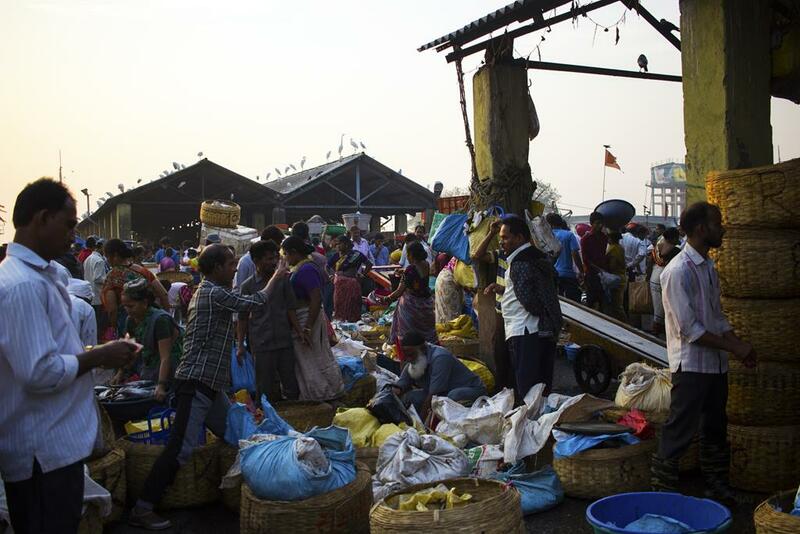 The largest fish market of Mumbai at Sassoon docks. 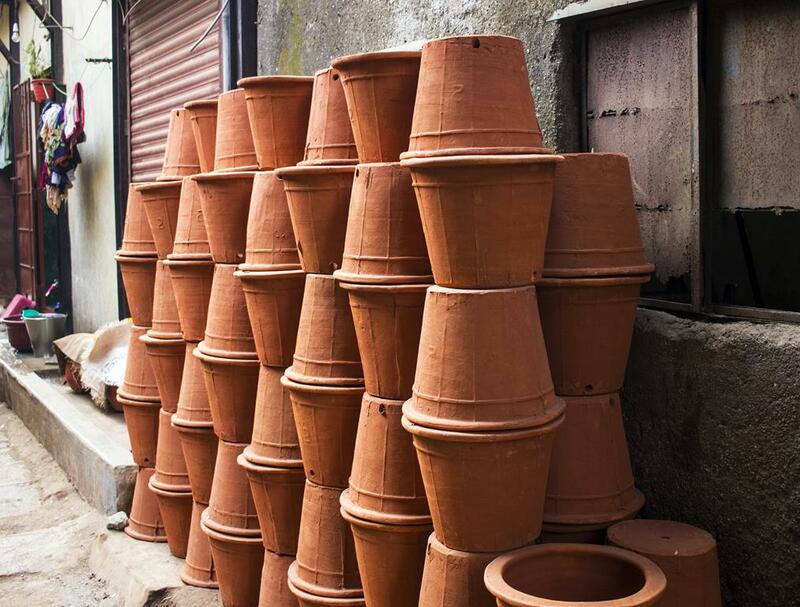 Pots ready to be sent to the market in Kumbharwada, Dharavi. 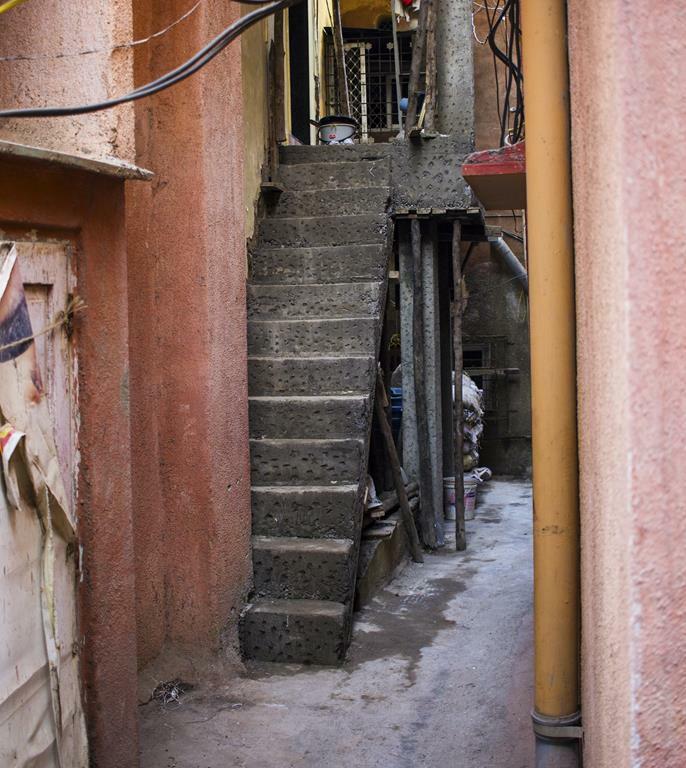 Inbuilt staircase in Worli koliwada to suit the space available. 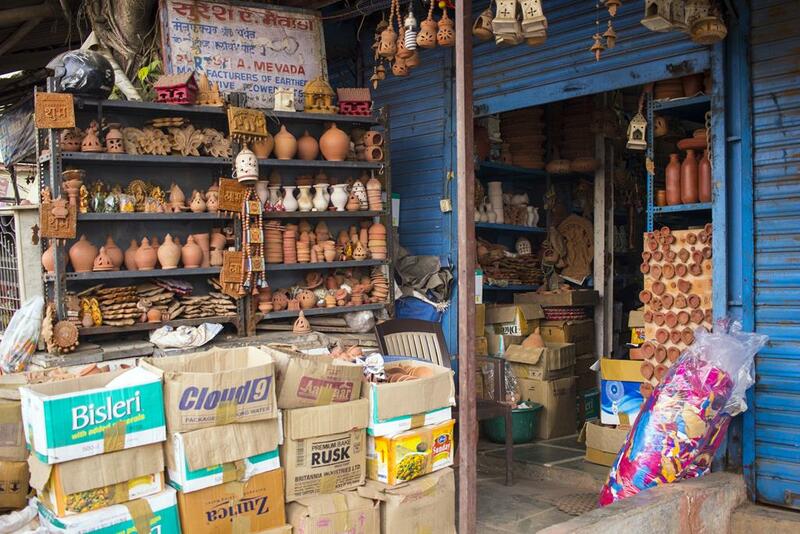 The joy of sharing memories, clicked in chor bazaar. 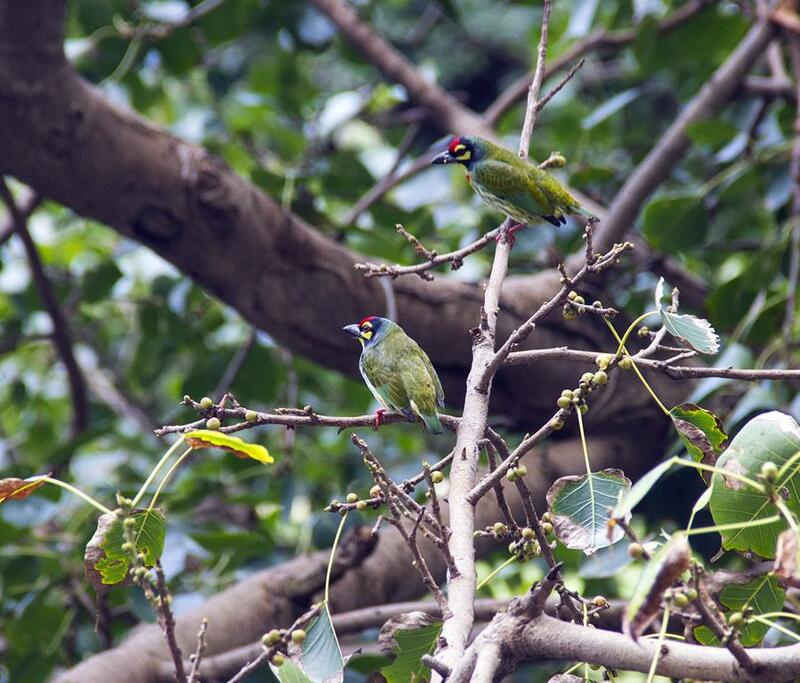 A pair of coppersmith barbets, resting after a heavy breakfast eating berries off the tree, seen from our bedroom window. 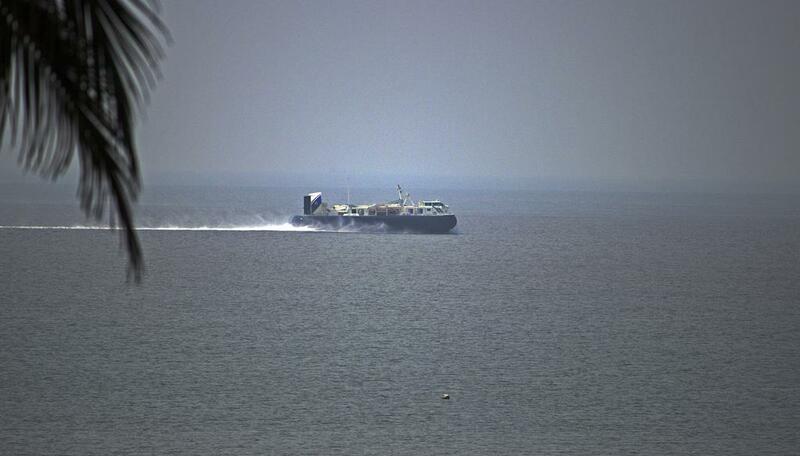 The Coast Guard patrolling the Mumbai coastline. 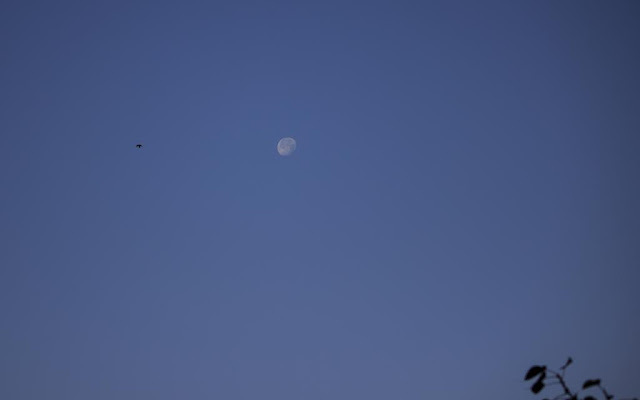 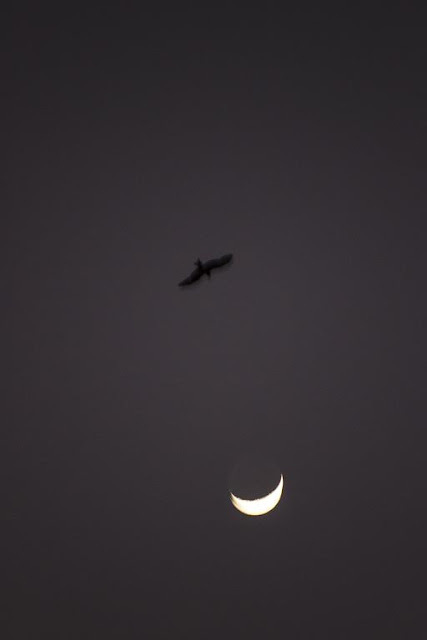 The Mumbai morning moon seen, in a clear blue sky in Bandra east, with a bird and a branch for company. 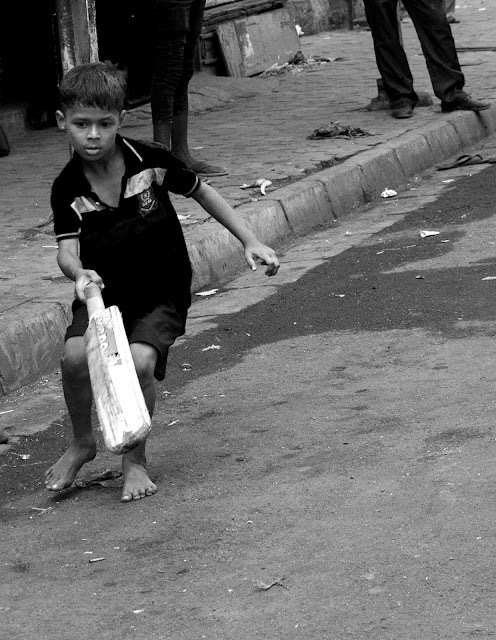 Playing cricket on the streets of Mumbai on a holiday when there is little traffic. 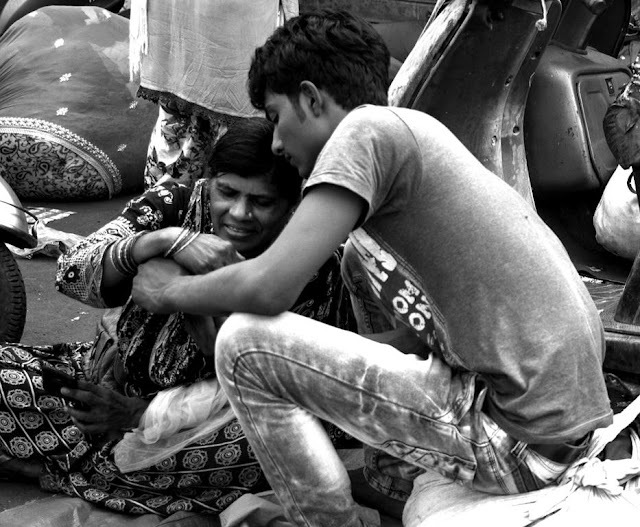 Activity on the fishing boat once the deals are made at Sassoon docks. 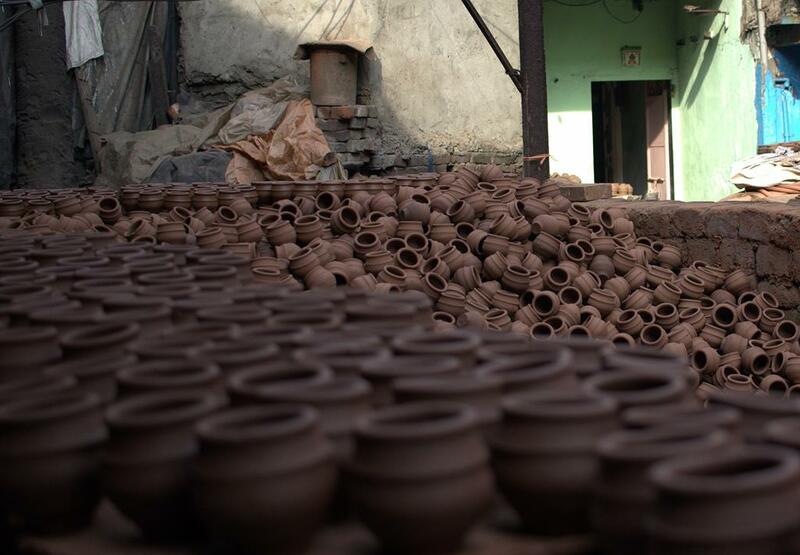 Potters' labour of love on sale in Kumbharwada, Dharavi. 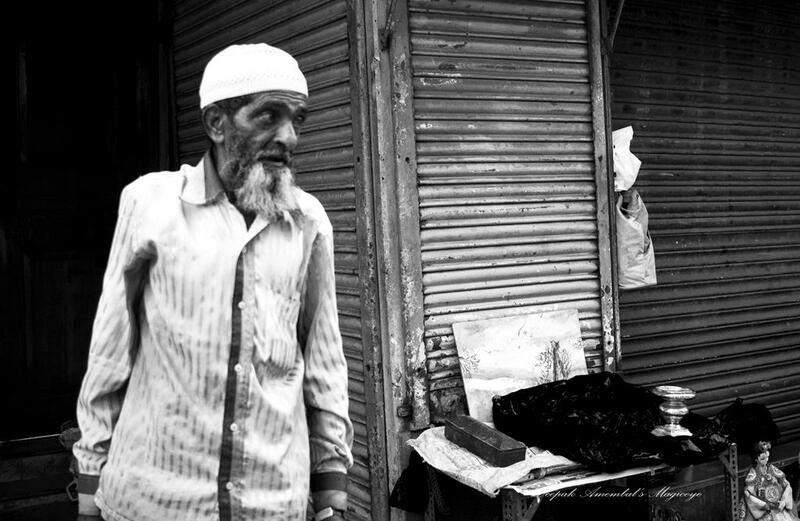 Street portrait in chor bazaar. 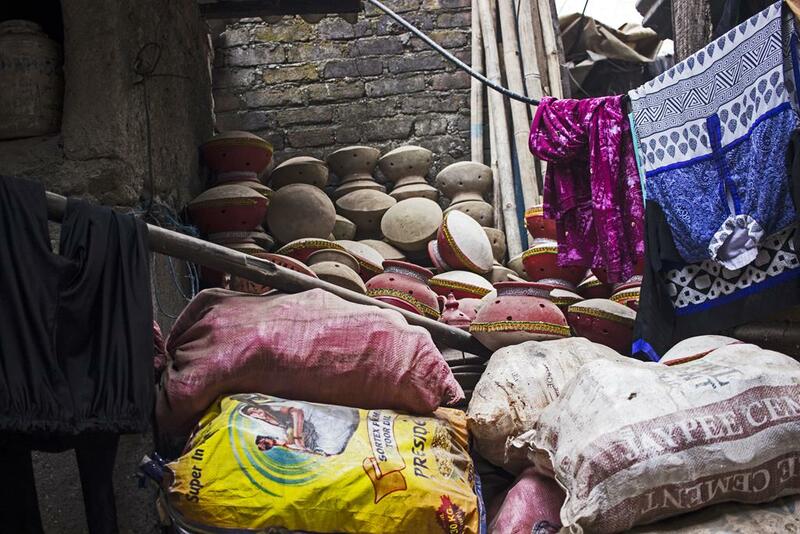 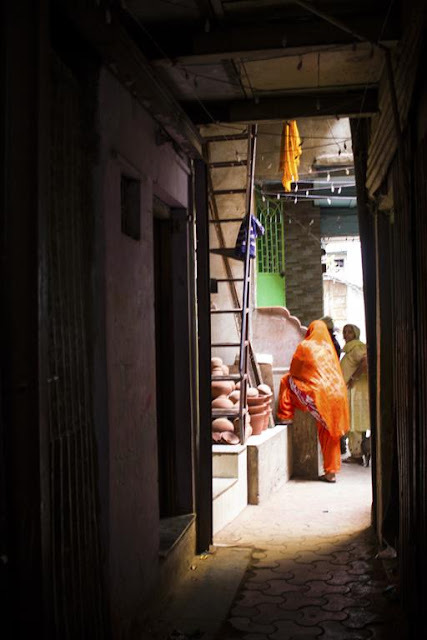 Looking over the innumerable pots in Kumbharwada (potters' colony), Dharavi. 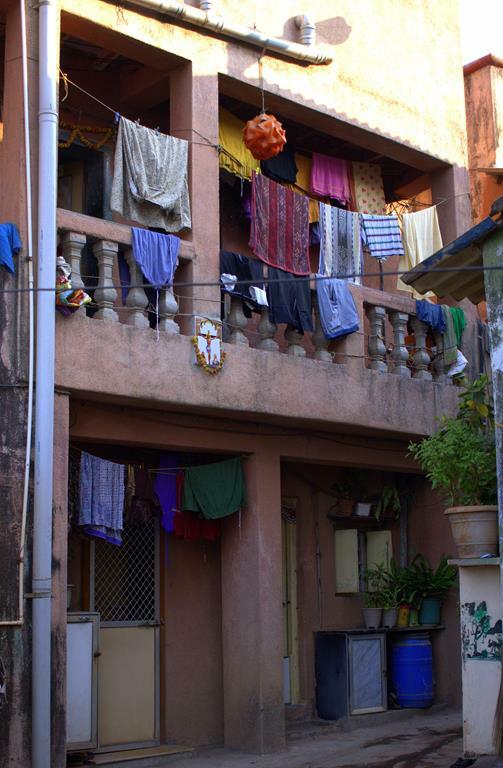 Washing done for the day in Worli koliwada. Solar energy used for drying. 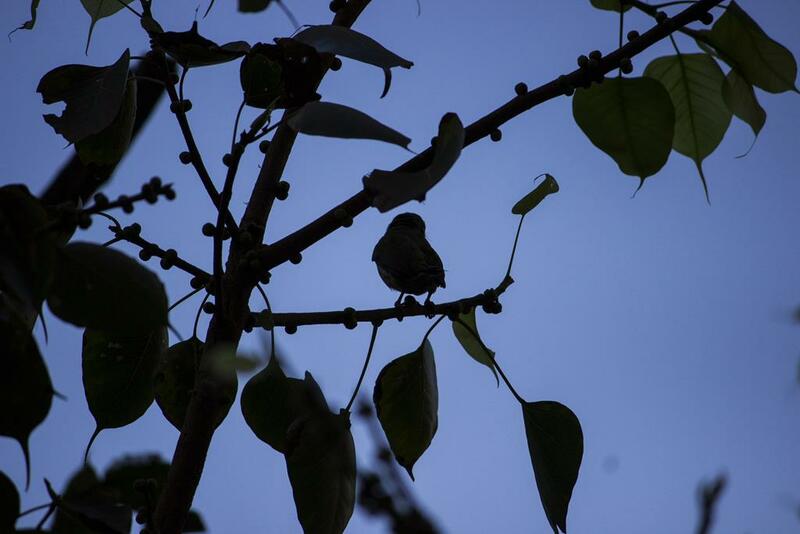 Silhouette of a coppersmith barbet against a bright blue sky of Mumbai in Bandra east. 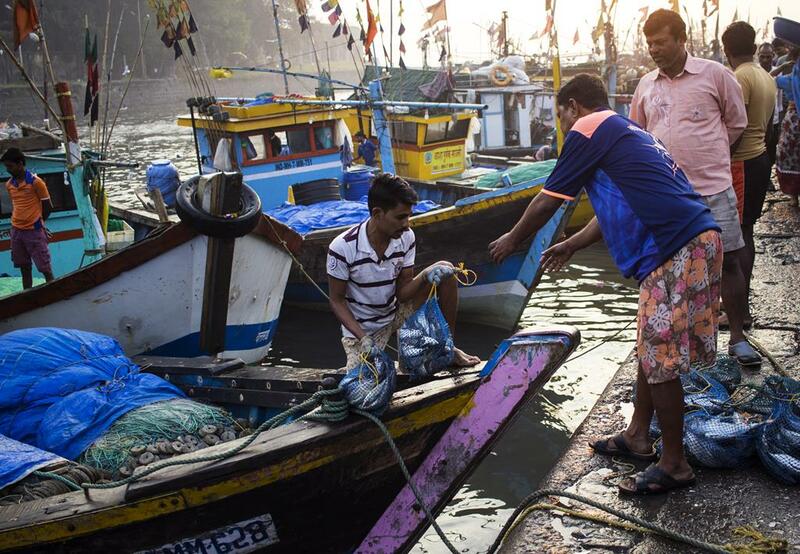 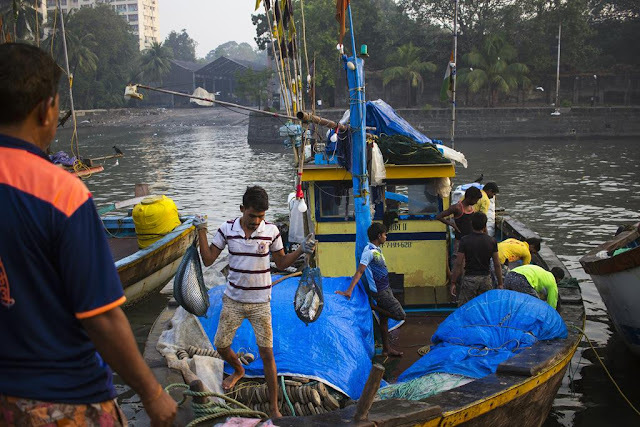 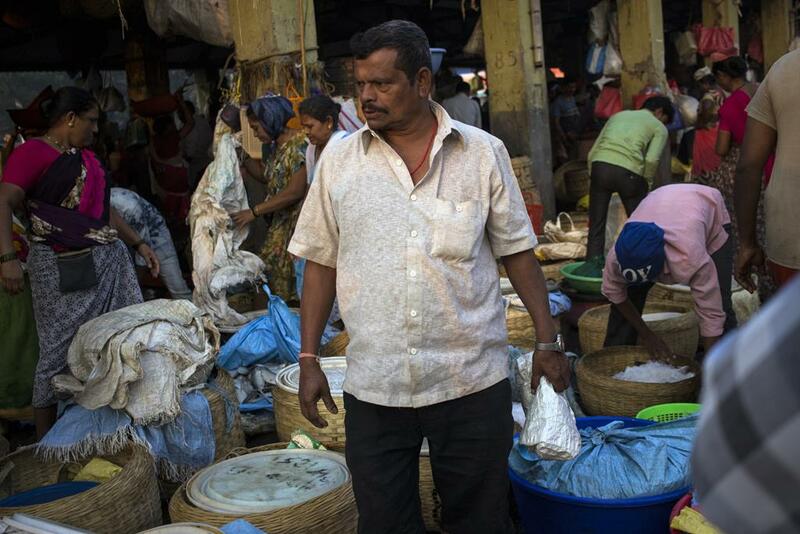 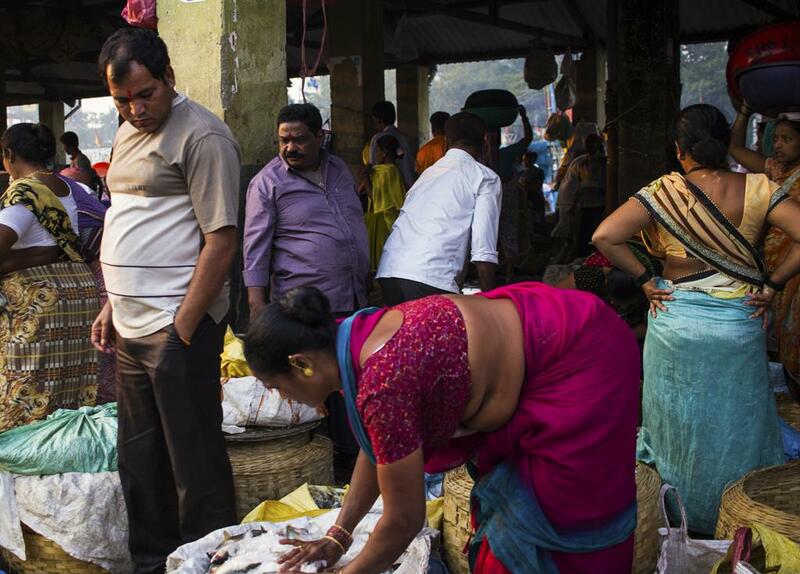 Surrounded by a great variety and quantity of fishes in the Sassoon docks fish market, the largest in Mumbai. Fishing boats anchored off the Gorai beach, waiting for the tide to come in. 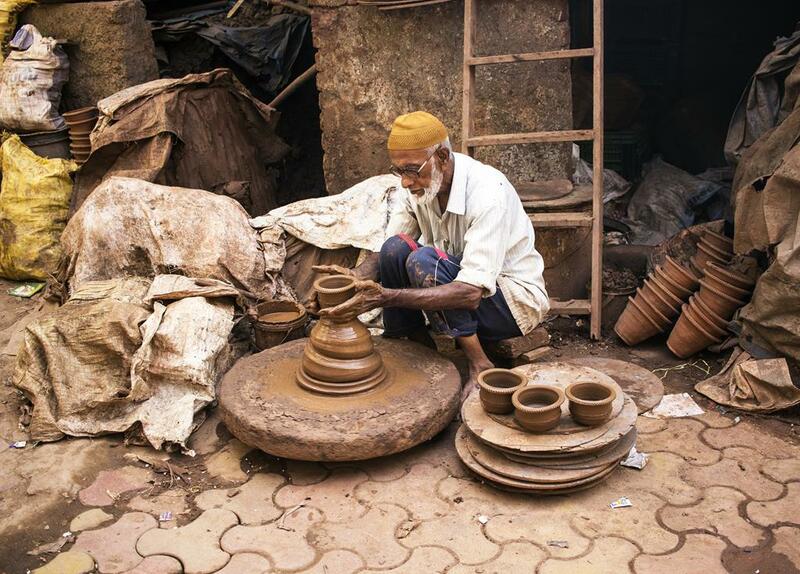 The traditional potter on the job in Kumbharwada, Dharavi. Stepping out in Chor Bazaar. A quiet Sunday morning in Worli koliwada. 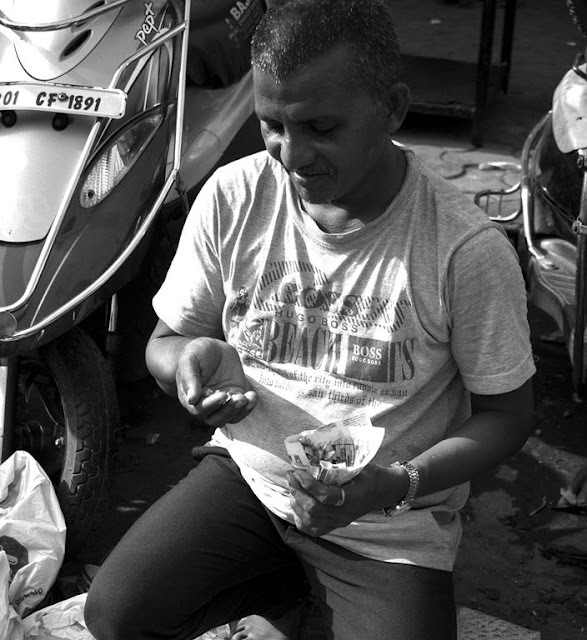 Cobbler at a street corner in Girgaum. 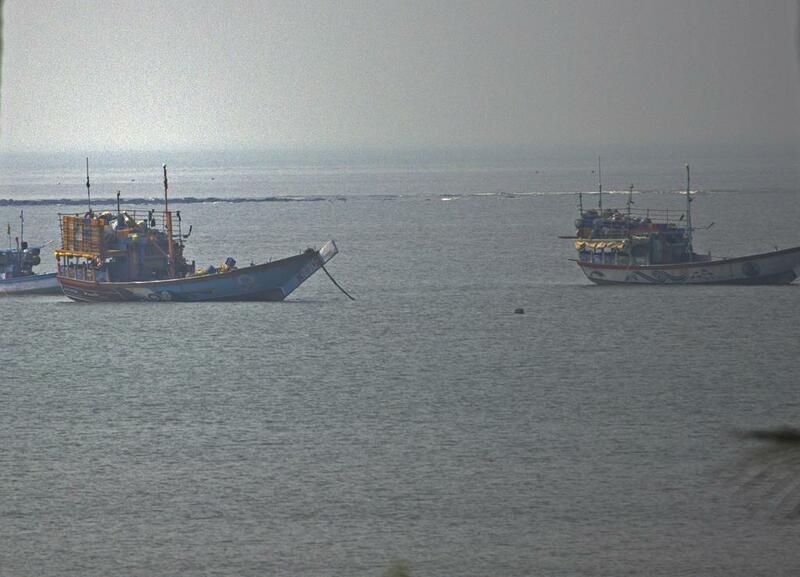 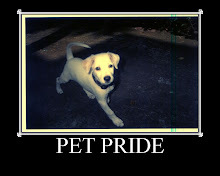 Hardly see any of them nowadays. From darkness to light is how the life of these potters have panned out after coming to Mumbai and carrying out their craft in Kumbharwada (potters' colony) in Dharavi. 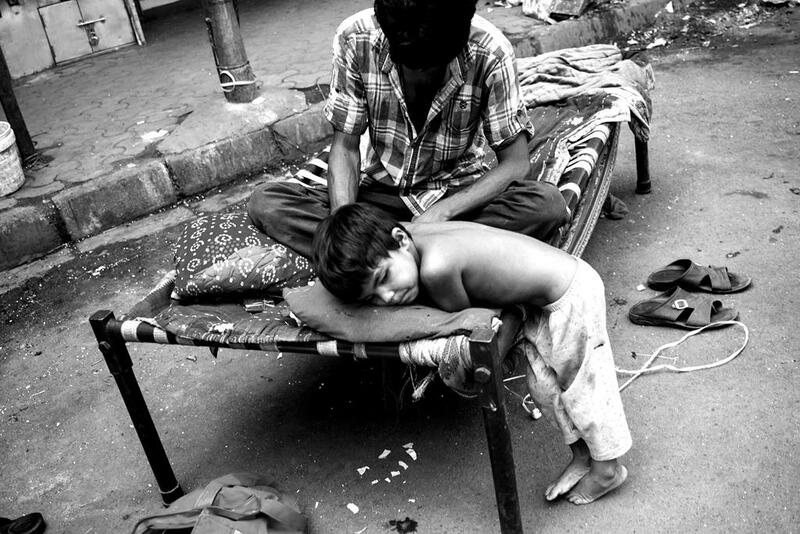 Wonder what he is dreaming of? On the streets of Mumbai. 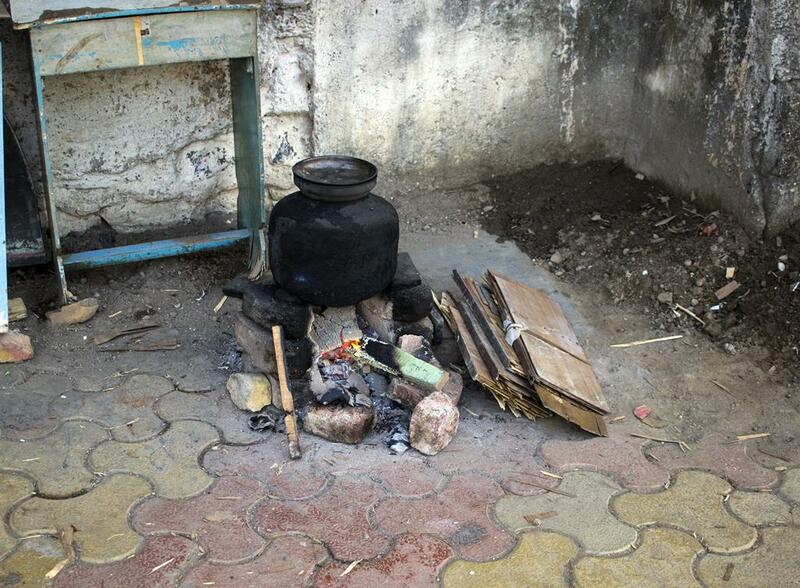 A corner in Worli koliwada where one can warm oneself during cold mornings and heat water for a bath too! 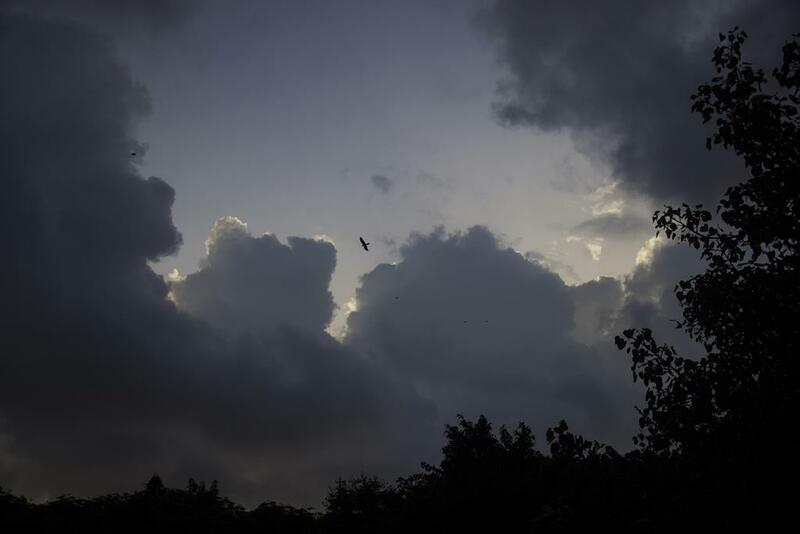 Bird trapped in a space surrounded by the clouds! 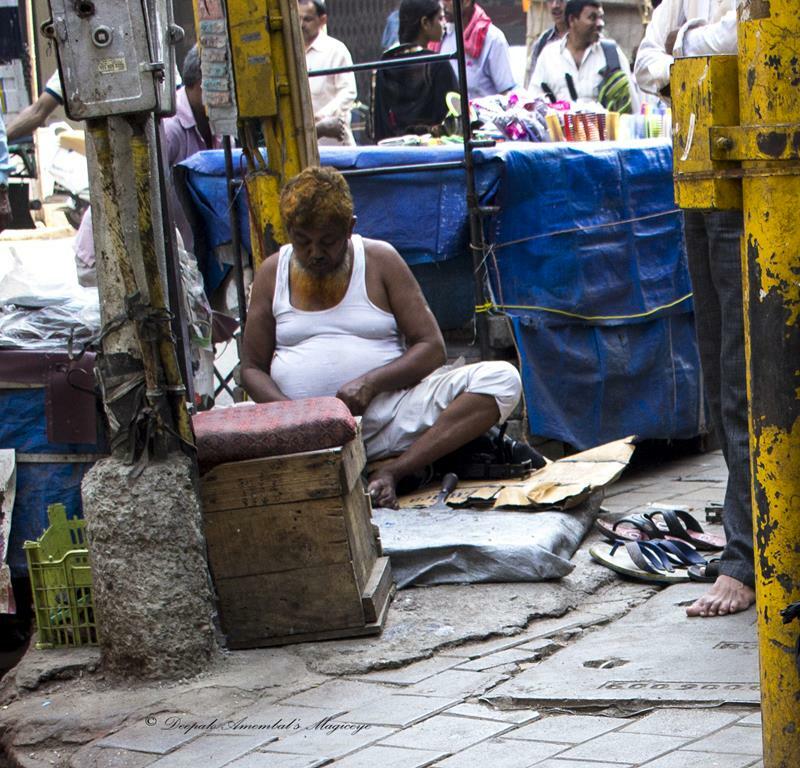 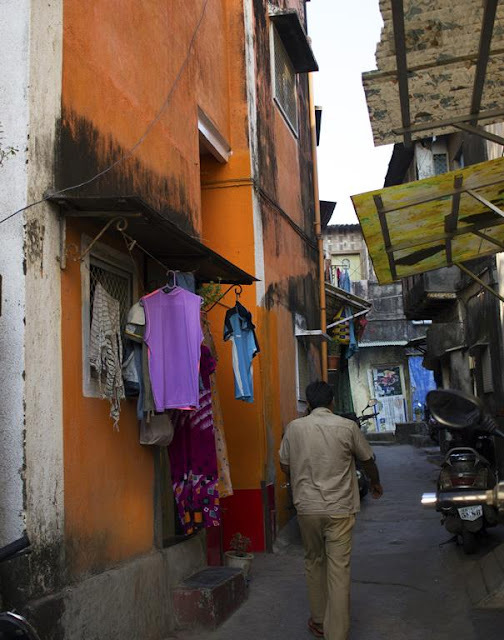 Optimal use of space in Kumbharwada, Dharavi. 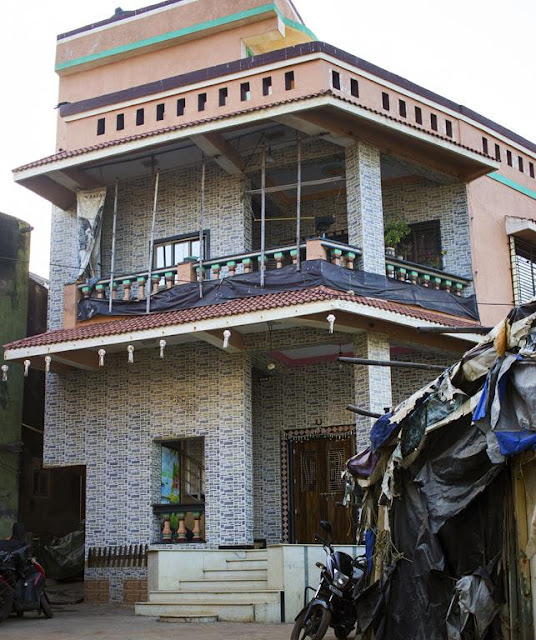 A big house in Worli koliwada, must belong to a fisherman who made it big. 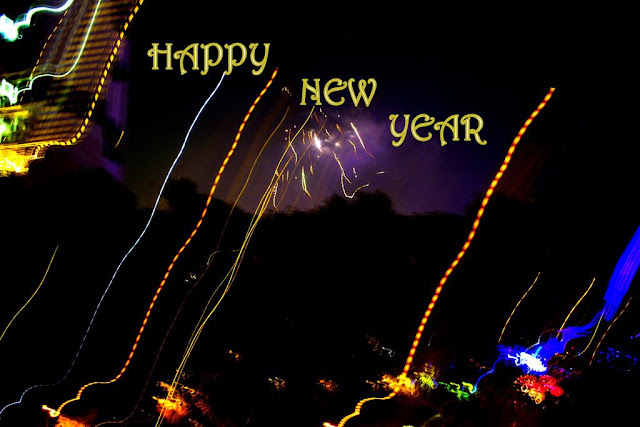 Wish everyone a brilliant 2019!